We learned the internal working of HashMap in post of How HashMap works internally. In this post, we can discuss about the internal working of TreeMap in Java. TreeMap class is a like HashMap which stores a key-value pairs. The major difference is that TreeMap sorts the key in ascending order. How TreeMap works internally ? TreeMap is Red-Black tree based NavigableMap implementation. In other words, it sorts the TreeMap object keys using Red-Black tree algorithm. Every node has color either Red or Black. Root of tree is always black. There are no two adjacent red nodes. 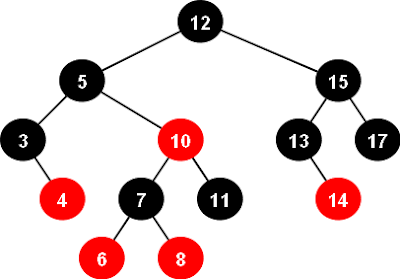 Every path from root to a null node has same number of black nodes. Time Complexity of TreeMap of search i.e get, put and remove is O(log n) . Being a self balancing, we keep inserting and deleting entries, tree growing longer on one edge or shorter on the other side. This would mean that an operation would take a shorter time on the shorter branch and longer time on the other branch which is furthest from the root, something we would not want to happen. Therefore this is taken care of in the design of Red-Black trees. Example to sort keys in TreeMap using Comparator with custom object. 1) How HashMap works internally in Java? I created a GUI with NetBeans. When I run the program in XP and the program changes the button colors, the whole button changes color. In this case, from "background" to "Green". When I run the program under Windows 8 only the border of the button becomes green. NetBeans seems to use the Look and Feel "nimbus". I single stepped through the program on both computers and it looks like a request for nimbus does not cause an exception on either computer.